Cesar Munera specializes in teaching Flamenco Guitar, Classical Guitar and Acoustic Guitar including Folk music and Blues at the Shine School of Music. Cesar Munera was born in Colombia in 1982, where he received his first guitar in 1987 at age five, learning folk music and blues. In in 1999 he went to University of Antioquia to learn classical music. 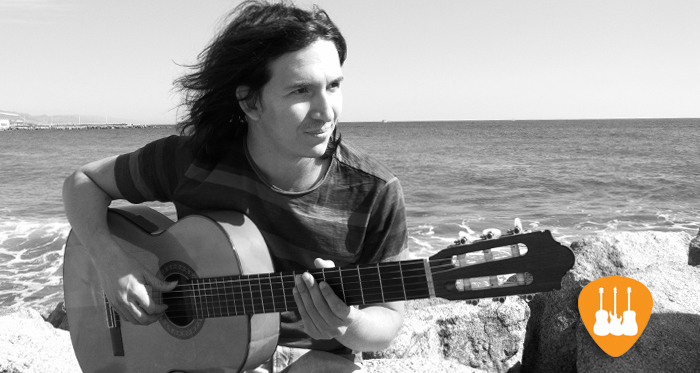 In 2008 Cesar played the Concierto de Aranjuez with the Eafit Orchestra, and won a scholarship to study Flamenco guitar in Barcelona-Spain in the Conservatori del Liceu. Now he lives in Barcelona, regularly playing concerts and teaching flamenco, classical and blues guitar. Cesar has a published Album on Spotify called Tierra Lejano. You can listen to it here. Visit his website here to see more photos and hear more of Cesar’s music! Check out his band Trivagos, you can listen to their Album Bus 33 here or visit their website here.